This September, 250 business and social entrepreneurs from Latin America and the Caribbean will arrive in Detroit, Michigan to start the five-week Young Leaders of the Americas Initiative (YLAI) Professional Fellows Program. 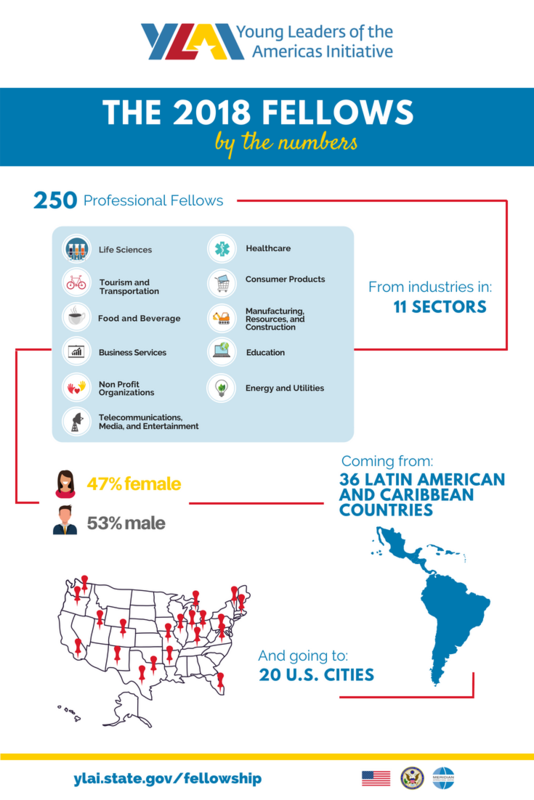 Fellows will collaborate with their counterparts in businesses and organizations in 20 U.S. cities, strengthening business ties between the United States and Latin America and the Caribbean. The program concludes with a Closing Forum in October in Washington, D.C., focused on leadership and skills development training.